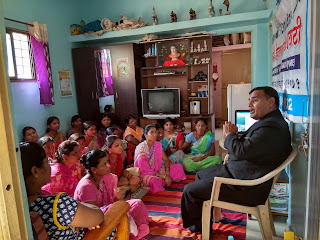 20-Jan-2017, Pune: The Don Bosco Development Society (DBDS), Pune organized a Legal Awareness Workshop for the Self-Help Group (SHG) women from the Thite Wasti slum in Pune. 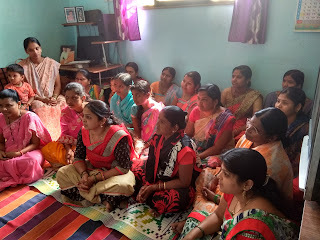 31 women participated in this workshop held under the aegis of ‘Women Empowerment Project’ supported by Manos Unidas, Spain. 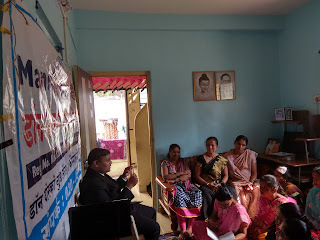 The objective of the workshop was to make women aware on their legal rights. Advocate Dattatray Dahinje was the resource person. Mr. Nagsen Chavan (Project Co-ordinator) welcomed Mr Dahinje and Participants to the workshop. 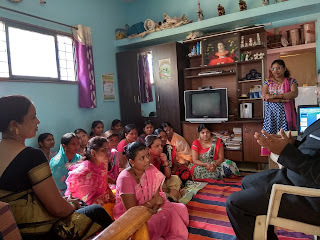 In his interaction with the participants Mr Dahinje explained law and provisions related to equality, domestic violence, divorce, marriage, inter caste marriage, new amendments, cyber-crime etc. The participants actively participated in the workshop and discussed their problems under sections 302, 420, 498(a) of IPC. 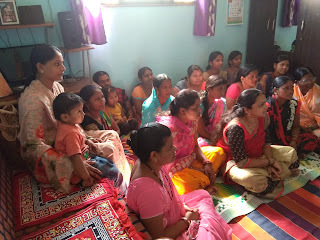 Program ended with vote of thanks by Mrs Priya Sonwane (Staff-DBDS).